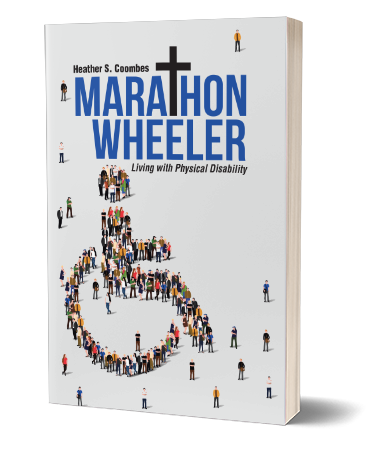 Author Heather S. Coombes tells it all in Marathon Wheeler. Discover how a woman wheelchair user with cerebral palsy found purpose in librarianship and in ordained Christian ministry. Appreciate how Christian faith can inform and strengthen motivation in the experience of physical disability. Join one woman’s unforgettable journey of courage and perseverance.